Moose live in boreal forest regions across the northern part of the globe. The biggest, known as Alaska-Yukon, inhabit the Alaska and the Yukon into the Mackenzie Mountains of the Northwest Territories. The Chukotka moose from Kamchatka and Russian North-East is just as big. Moose in Canada’s other western provinces are classified as Western Canada moose, and those east of a line drawn across Ontario are Eastern Canada moose. The Shiras moose range extends through the Rocky Mountains south to Colorado and Utah; it has the smallest antlers of the North American moose. The European moose is hunted in Norway, Sweden, Finland, the Baltics, Poland, and Russia. The most affordable moose hunts are to be found in Eastern Europe, Baltic countries, and the European part of Russia, where you can hunt a moose for $1,000-$1,500. Western and Eastern moose hunts in Canada typically go for $3,000-5,000, and moose hunting in Scandinavia is priced similarly. The incredible Alaska-Yukon and Kamchatka monster moose are the most expensive, as the price includes travel to remote areas. 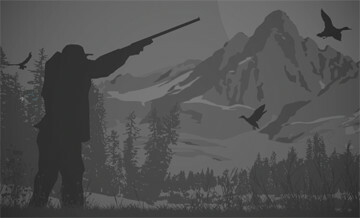 You can usually combine a moose hunt with a grizzly or sheep hunt, and such offers top the price range. Shiras moose is perhaps the most difficult kind of moose to harvest, given that the tag is hard to draw, and in Idaho, the home state of BookYourHunt’s Director for America James Reed, it’s a once-in-a-lifetime thing. Read how James and his son turned a once-in-a-lifetime tag into a once-in-a-lifetime success. Trophy moose hunts usually take place in the rut, which happens in September-October in most parts of moose range. Meat hunts commonly take place later, in November-December, when the bull meat is less affected by hormonal surge of the mating period, and snow makes it easier to track a wounded animal. Post-rut hunts tend to be cheaper, but beware that moose shed their antlers at about the time of snowfall. Most trophy hunts take place during the rut. Moose don’t form harems like other deer, but they bulls do challenge each other for dominance and territorial control. By imitating a rival bull hunters can get the moose in range but beware: during the rut bull moose are very aggressive, and many nations believe them to be more dangerous than even bears. North American moose hunts are usually conducted by spot-and-stalk, by calling, or a combinations of both methods. European moose hunts are traditionally conducted by driving, or using special trained dogs of local breeds who hold the animals in place by mock attacks, and give the hunters the hint of where it happens by barking. Stalking and calling are also practiced, though. The moose (Alces alces) is the largest of the world’s deer species and their large size, impressive antlers, and delicious meat makes them highly sought after by big-game hunters around the world. Moose hunting in Scandinavia, especially in Sweden, is an important part of the rural lifestyle and economy. Moose hunts often take place in heavily wooded or swampy areas where it is often difficult to use a vehicle. In western North America, horses are often used to cover ground and to pack out downed moose; in other areas, boats or canoes are utilized. Moose hunts take hunters to regions well off the beaten track, and hunting moose, as well as recovering the animal, can be extremely challenging, especially in remote country. We are a premium destination for Canadian Moose. High moose densities and remote populations that rarely get hunted allow the bulls to reach their full potential. Average mature bulls are 40”-50” with the occasional bull surpassing the 55” mark. Getting one of these trophy bulls to respond to your calls and then slowly work his way towards you looking for a fight is truly an amazing experience and the memory of the hunt will be with you forever. Rut hunts start in mid-September and hunters may choose a variety of hunting methods depending on preference. Riverboat and 4X4 hunts are 7 day hunts returning to the comforts of base camp each night. For the hunter that loves the wilderness and hopes to find a bull that may have never seen a human then a horseback hunt is a great option. At this time of year moose can be hunted in combination with many other species including black bear, grizzly bear, mountain goat, wolf and last but not least elk. The elk rut is on virtually the same time as the moose rut which can offer one of the most exciting combination hunts in North America! In mid-October after weeks of fighting and breeding, bulls are exhausted and seem to virtually vanish from the wilderness. In truth they are resting in the darkest corners of the forest and around Halloween they wake up and begin intensely feeding trying to replace fat reserves lost during the rut. This last week of the season is another great time to be hunting Canadian Moose.